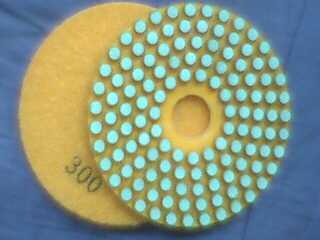 ☞ Better performance and longer life compared to the resin bonded polishing pads. 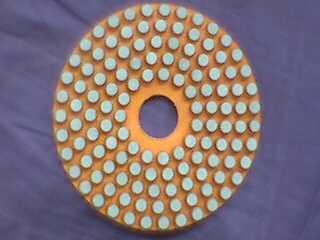 These velcro-backed vitrified polishing pads are designed to achieve a scratch-free highly polished finish on all straight or contoured granite and marble edges. 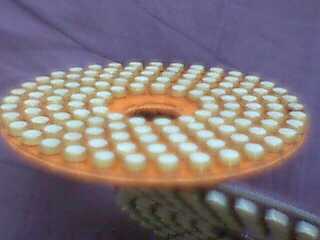 Available 4" size in three different grits: #60, 150, 300.